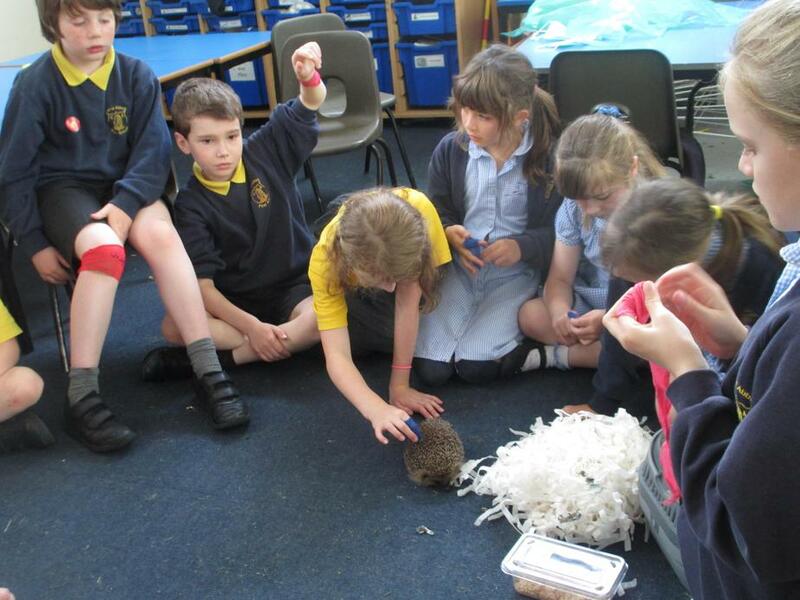 What a fantastic afternoon we have had today. 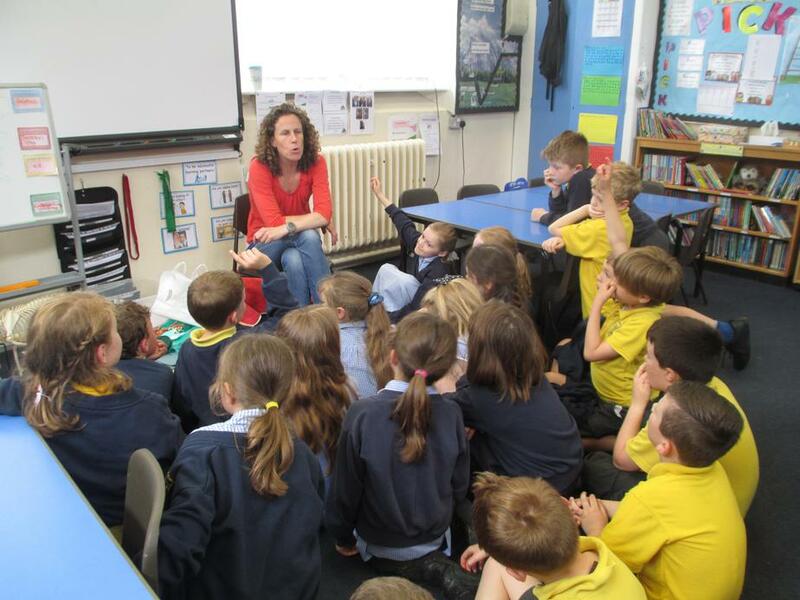 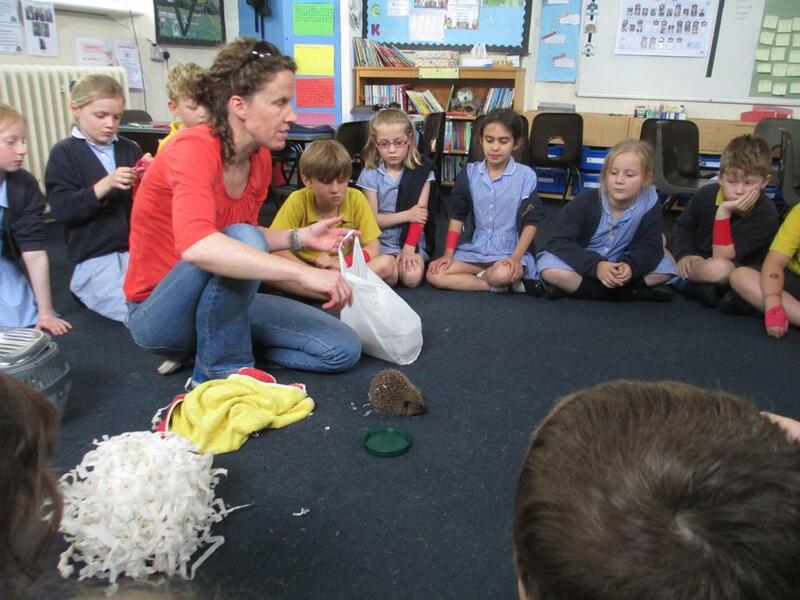 Thank you so much Mrs Moore who came in to talk to us aout her job as a vet. 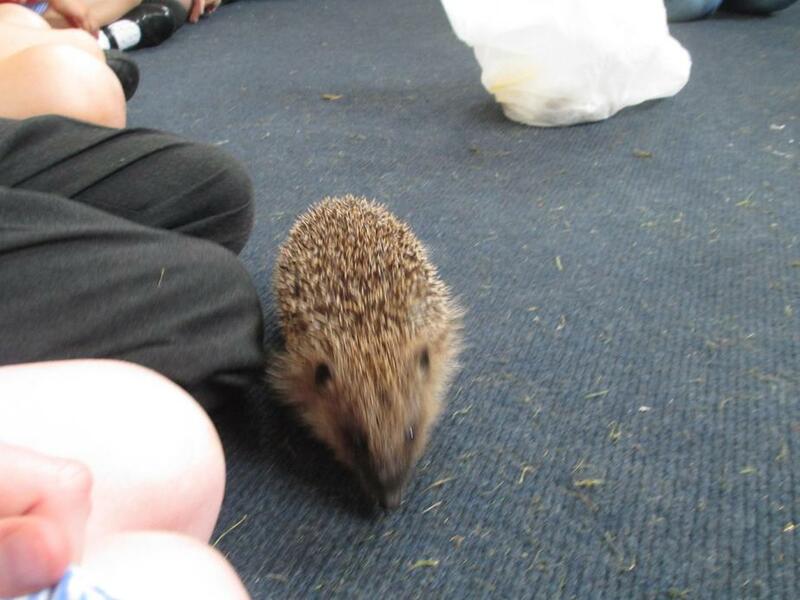 She talked to us about how they treat animals and got us thinking about what similarities and differences there are between animals and us. 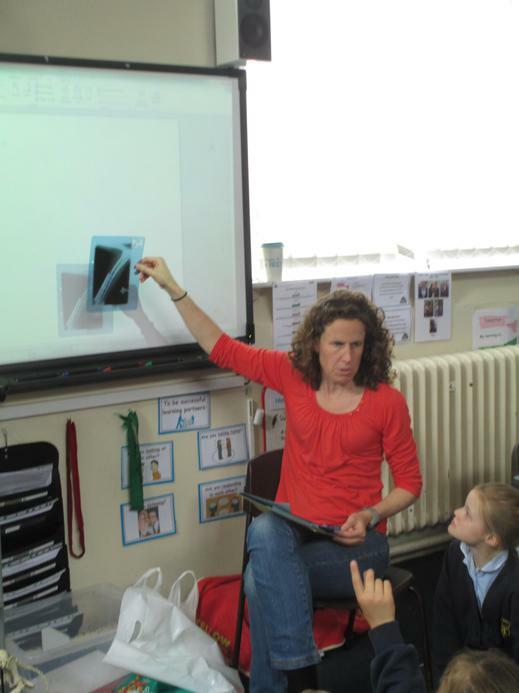 Mrs Moore showed us lots of x-rays of different animals and we discussed how they were different and had to guess what animal they might be. 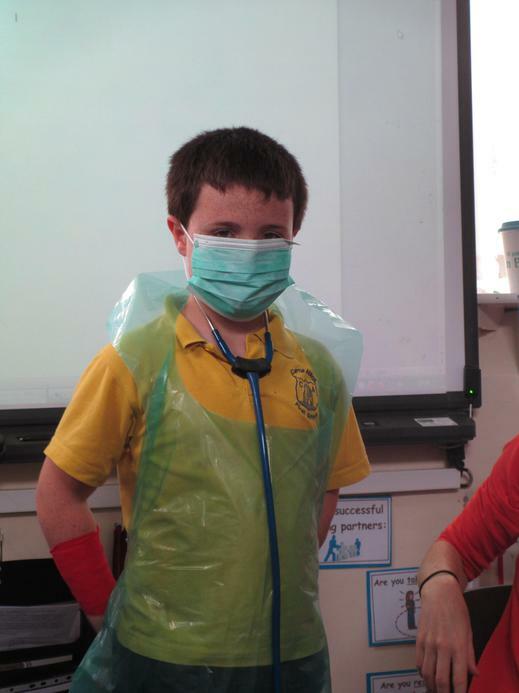 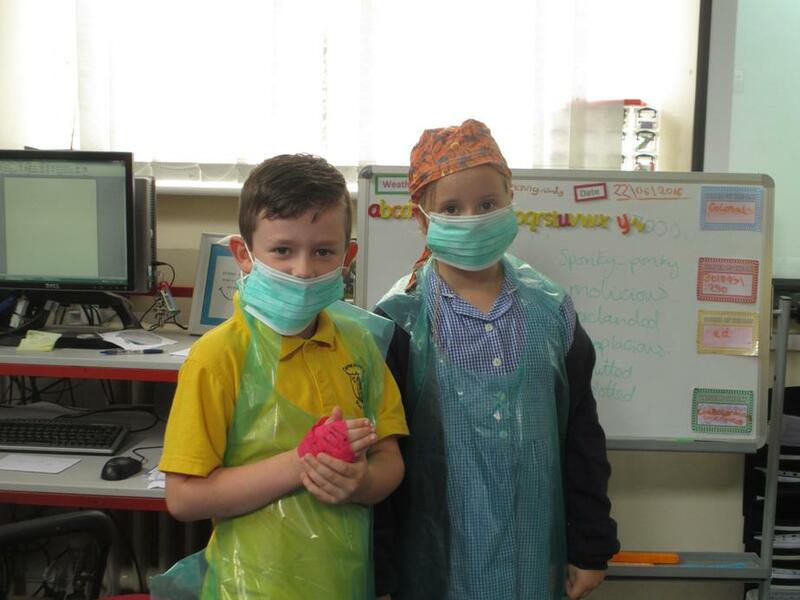 We also got the chance to listen to each others hearts, dress up in scrubs that vets wear in theatre, try the bandages that they use on animals and ask lots of questions. 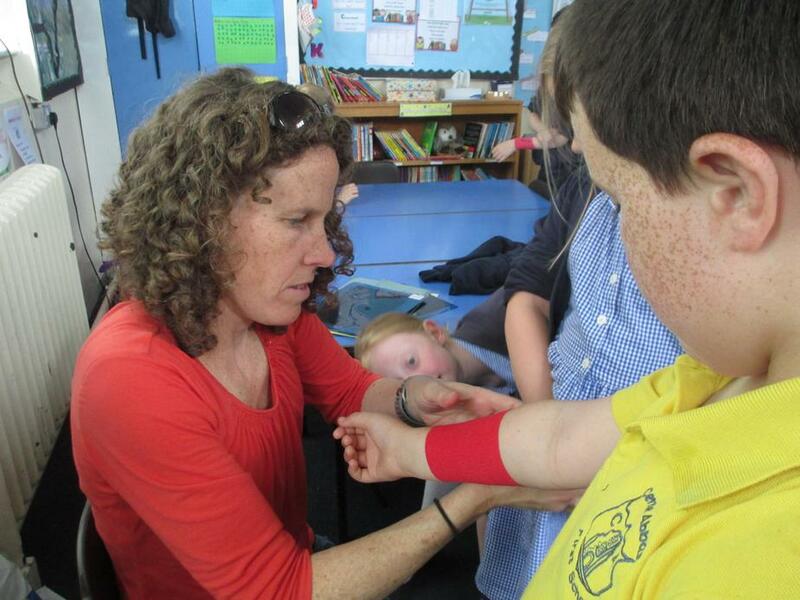 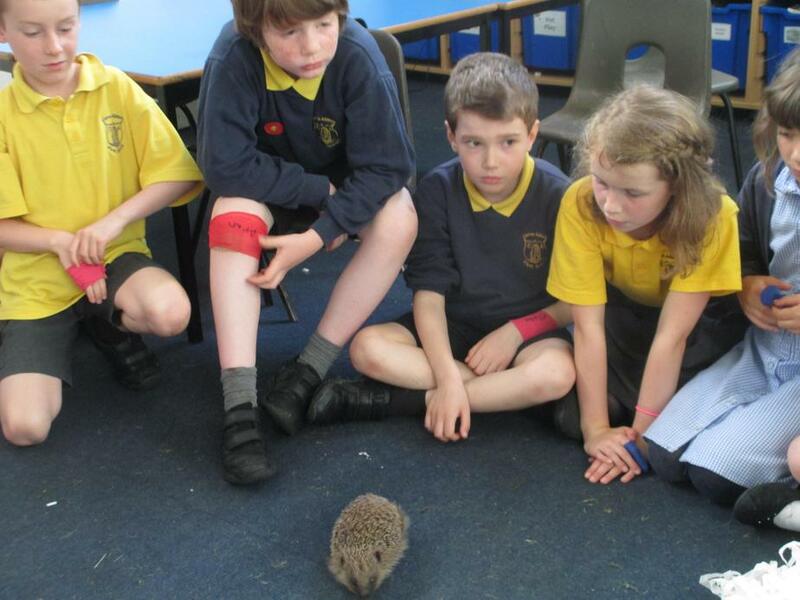 Mrs Moore told us what to do if we come across an injured wild animal and how they can be looked after sometimes. 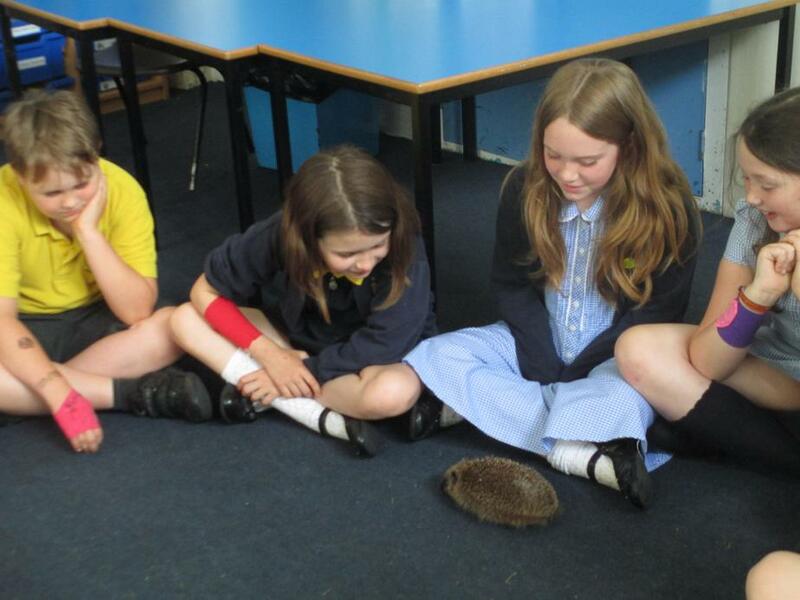 Very excitingly, she had also brought one in! 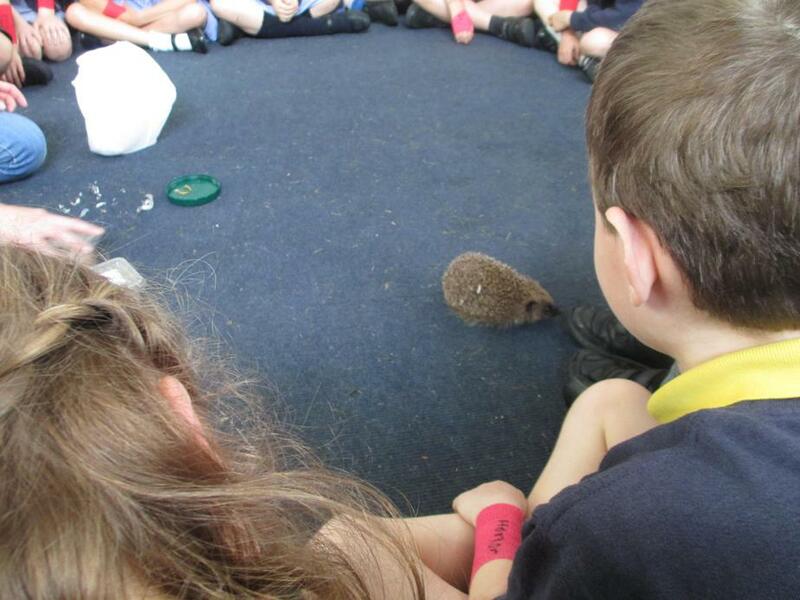 We were very considerate and quiet which meant that it soon lost its shyness and snuffled about the circle we had made. 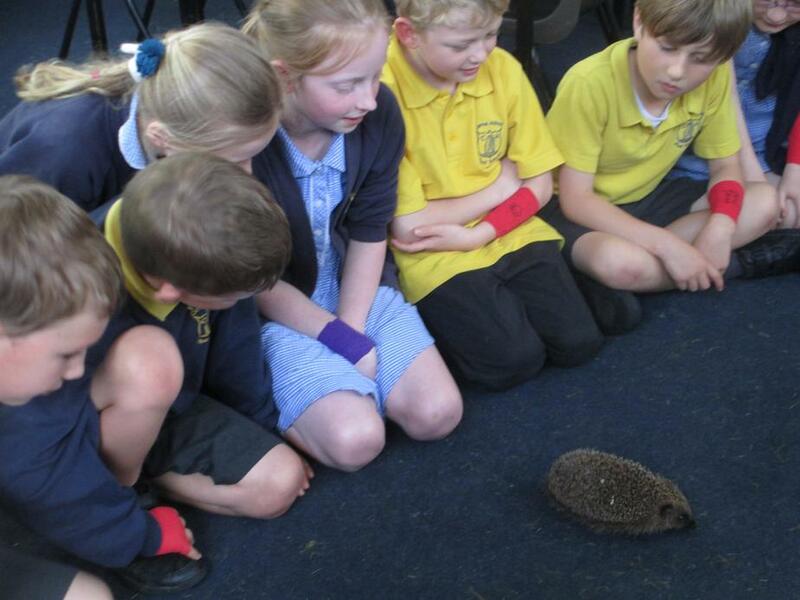 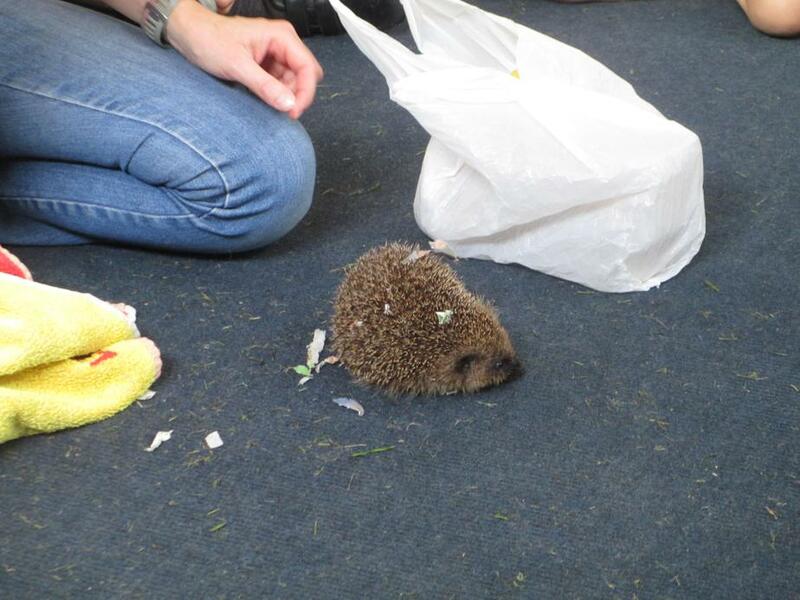 None of us have ever seen a hedgehog up close so it was a really amazing experience. 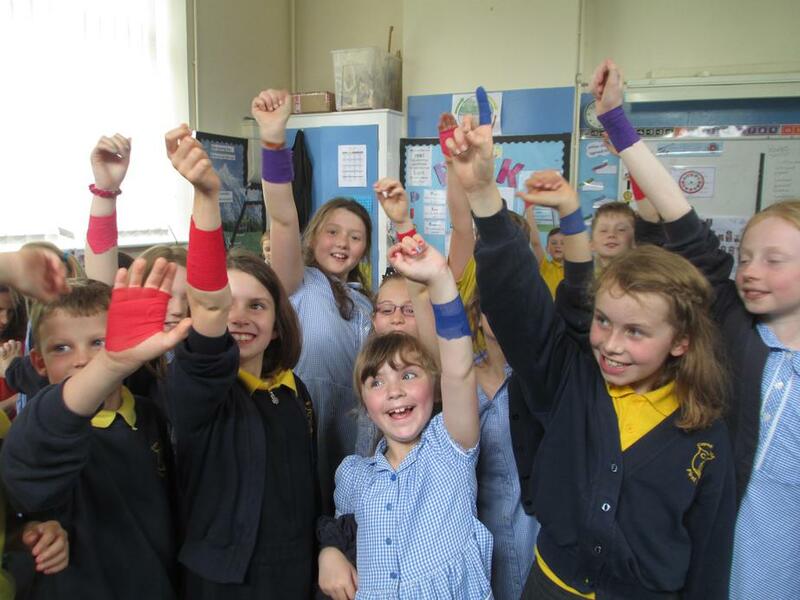 Have a look at our photos to see for yourself.